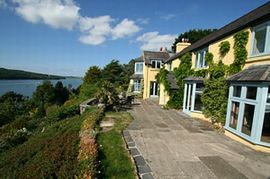 A spectacular luxury country house and cottage, located in Pembrokeshire National Park with stunning water views. 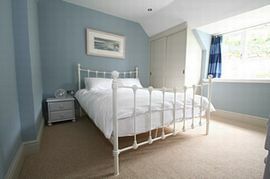 Four Ashes sleeps up to 12 people and Oyster Reach cottage 4 people, both properties have been refurbished to the very highest of standards. 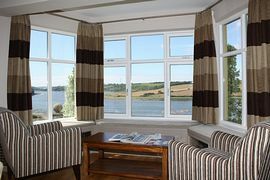 Four Ashes is truly unique and benefits from a private beach, private moorings, its own quay, boat house and tennis court. Set in four acres of stunning gardens, the setting could not be more perfect. Four Ashes is situated on the outskirts of the village of Cosheston, an idyllic location in the Pembrokeshire National Park, on the coastal path with stunning waterside views. 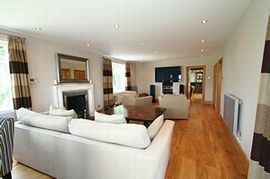 This luxurious property is decorated to a high standard, offering easy living in a contemporary environment, ideally suited to large family gatherings; reunions with friends; the perfect place for entertaining. There are a number of highly recommended attractions to visit locally. Private tennis court, beach, quay and moorings. 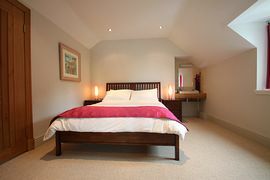 Rates from: £1,250 to £3,500 please visit our own web site for more details.